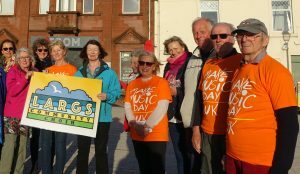 On Thursday 21st July, Largs Community Choir proudly participated in the international Make Music Day. Battered by winds and competing to be heard over the squawks of seagulls, we regaled our audience with a number of songs, from South Africa to the Shetlands. We also managed to live stream our performance via YouTube to enthusiastic viewers. Although the video has not yet gone viral, it did manage to capture the flavour of the event. 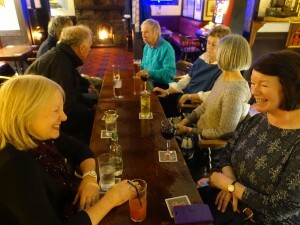 The performance was followed by refreshments in The Anchor.